A ‘must have’ plant for all those who love architectural plants. This one is not for the feint hearted or those with small spaces. 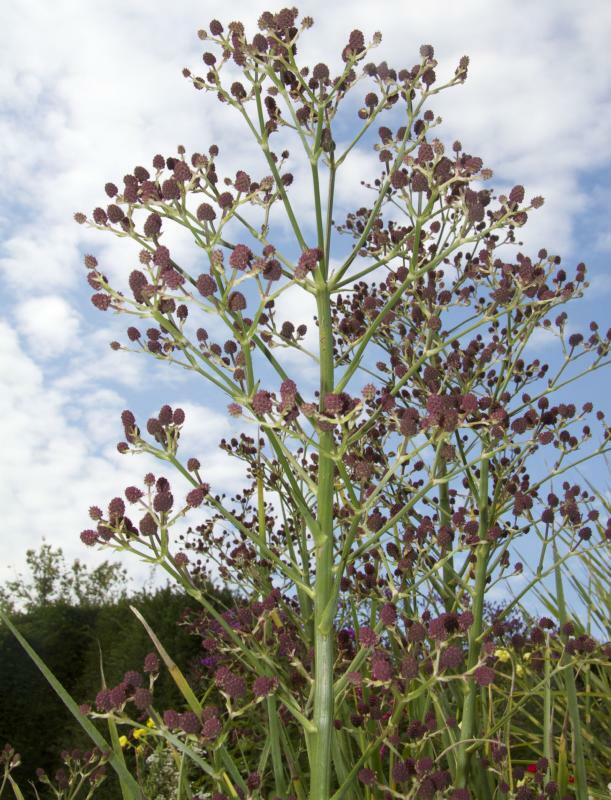 The Eryngo produces large prickled sword leaves in an upright rosette to 85cm, above which in autumn branched heads of maroon flower clusters are produced on huge open branched upright stems reaching over 2m in height. Flowers from September to December. The attractive foliage is evergreen but can be damaged in our severest winters. Otherwise the species is hardy. 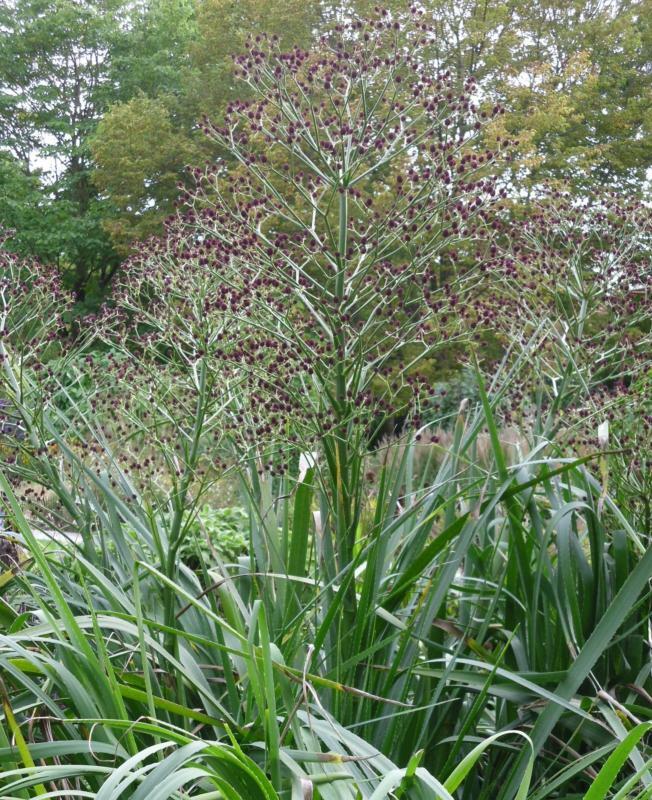 Eryngium pandanifolium Physic Purple is a bold architectural perennial. 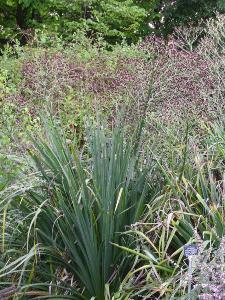 Grass type foliage up to 1.5m long evenly spiky along the edge. 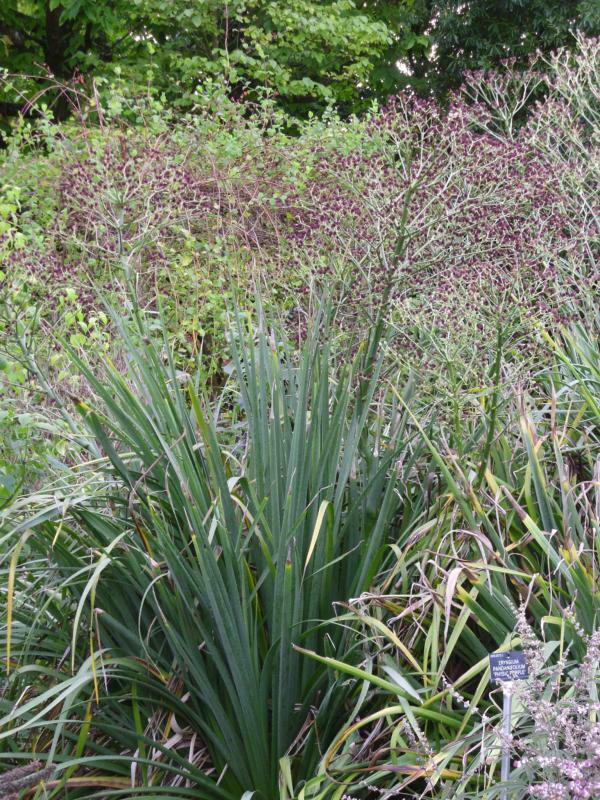 Forms a dense grassy fountain from which a flowering spike rises 2.5m high or more, branching all the way up, small deep maroon cones form. Grow in full sun and dry soil, do not let sit in the wet during the Winter. Quite a show stopper! !